Our highly trained therapy staff delivers world-class subacute rehabilitation services, including physical, occupational and speech therapy to our residents. 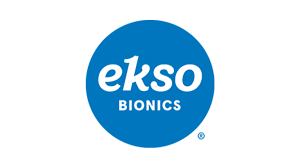 Our EksoGT robotic exoskeleton system is a game changing platform for neuro-rehabilitation following a stroke, spinal injury, or other neurological condition. The Medford boasts a 40 bed, dedicated ventilator unit equipped with piped in oxygen and one of the most reliable ventilator systems in the industry. We have partnered with Dyalyze Direct to provide our patients and residents with the most advanced, in-house hemodialysis program available today. We provide all modalities of clinical care onsite, including IV Therapy, Tracheostomy care, Optometry, Podiatry, Psychiatry, Dental, laboratory and X-ray services. Every resident and their family members becomes a part of our caregivers' extended family, and we take pride in the relationships we develop. 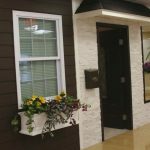 We specialize in the treatment of residents suffering from Alzheimers and Dementia, through a dedicated, holistic and compassionate program provided in a secure and loving environment. Our Long-Term Care residents live with us in health and happiness and make up the core fabric of our population. The clinical care we provide is the envy of the healthcare community. We provide the most compassionate end of life care program, utilizing a non-invasive clinical approach, with a focus on patient dignity. Our crown jewel, The Lux, is our newly opened, state-of-the-art 6,000 square foot rehab suite. The most modern rehab suite in the area, The Lux is open, airy, free-flowing, and comfortable. It is equipped with the newest technology on the market, including the OmniVR Virtual Rehabilitation System, Litegait, virtual reality treadmills, EksoGT Bionic machine for post-stroke, neuro-rehabilitation, and so much more. 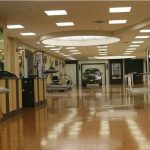 Re-learn how to transfer in and out of an automobile by practicing entering and exiting our custom designed Medford Multicare PT Cruiser located inside our Rehab Center. Prepare to adapt to life back home, in our gorgeous and complete home environment. Receive real-life training in our Activities of Daily living apartment, equipped with a fully furnished bedroom, state-of-the-art kitchen, and gorgeous marble bathroom. Our goal is to assist our residents to regain their maximum level of function and enable their safe return home after regaining their highest level of independence possible. At Medford, we are proud to offer the EksoGT robotic exoskeleton, which is a game changing platform for neuro-rehabilitation following a stroke, spinal injury, or other neurological conditions. The sophisticated computerized monitoring system at Medford Multicare Center for Living continuously monitors all patients on the ventilator unit. 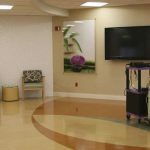 Our ventilators are portable, which allows our patients to take advantage of our beautiful facility, attend activities including Bingo and live entertainment, go outside for Barbecues, or get services at the beauty parlor. 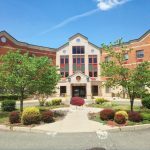 Medford Multicare Center for Living houses one of the few long-term vent units where we also successfully wean patients that may be assessed as candidates to return home. A Registered Respiratory Therapist is on-site 24 hours per day, 7 days per week, on our unique and dynamic 40-bed unit. They provide tracheotomy care and tracheotomy changes on the ventilator unit and throughout the facility. Each patient is assigned to one of our dedicated, Board Certified Pulmonologists so they can know their patients and follow their care. Our interdisciplinary team determines the individualized plan of care for each patient, and an emphasis is placed on each person’s psychosocial well-being. Our team constantly evaluates each patient with the hopes of reducing their ventilator dependence, and our services are directed at restoring each resident to his or her optimal level of functioning. Our goal is to provide the best quality of life possible based on each individual’s capabilities and to give their family members total piece of mind. This is why we are so proud of our partnership with Dialyze Direct to provide our patients and residents with a special hemodialysis program, in-house. Dialyze Direct uses the most advanced NxStage equipment, with treatments that are tailored to help patients make the most of their time spent in the skilled nursing and rehabilitation facility. Patients benefit from our ComfortCare™ Model provided by the Dialyze Direct Care Team. Under Dialyze Direct care, we perform shorter frequent treatments helping the patient avoid the burden of tiresome travel to the outpatient center. Our interdisciplinary team collaborates with the skilled nursing/rehab facility the nephrologist to coordinate a plan of care to improve patient outcomes. At Medford Multicare Center for Living our medical and nursing staff work together as a team. In addition to our medical physicians we have on-site physician assistants and nurse practitioners available during regular business hours to attend to our residents and patients. We care for Alzheimer’s and Dementia patients of all functional levels. Each resident is evaluated by our interdisciplinary team to determine the individualized care needed. We focus on depression and behavioral problems and our Psychiatrist comes weekly to see residents. We aim for minimal medications and increased activities for behavioral issues. Socialization with peers and activities are an important part of life at Medford. We encourage socialization and participation as much as tolerated to promote an active lifestyle. We have a private, gated patio where outdoor events are held. We have recently installed a wheelchair garden where our residents grow fresh vegetables and herbs. We have dedicated therapeutic recreation staff members, including a specifically assigned certified nursing assistant. They engage our residents in programs including reading, exercise, trivia, barbecues, arts and crafts including painting and clay projects, bingo and cooking. Family members are welcome and encouraged to volunteer and be active participants at Medford Multicare Center for Living. Nursing is the heart of our facility, and our nursing staff strives for excellence in the care they provide. Every resident, short-term patient, and their family members, becomes a part of our caregivers’ extended family, and we take pride in the relationships we develop. We encourage patient and family participation in the interdisciplinary care planning process. Every patient and family member is our customer, and customers always come first. Our nursing unit supervisors, managers or nursing administrators are always available for our patients and family, and do their best to make every patient enjoy life to the fullest. Our exceptional and advanced Wound Care program, focuses not only on the treatment and healing of wounds but also on the patient's overall health. Our nurse wound specialists provide individually tailored and expert care under a patient's physician order to ensure our patients reach optimal healing and achieve positive outcomes. We provide the most compassionate end of life care program, utilizing a non-invasive clinical approach, with a focus on patient dignity. As part of the interdisciplinary team, our therapists work in attempts to wean ventilator patients, to build endurance, on activities of daily living, and on ambulation, when appropriate. Our goal for our ventilator patients is to improve their quality of life, make them as comfortable as possible and make sure they are positioned properly.